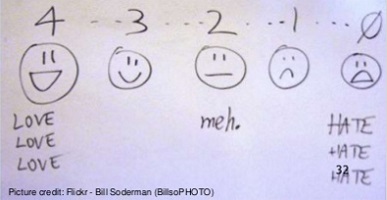 How many points to use in a rating scale? When I was invited, as a Rosenfeld Media aspiring author, to talk about surveys for the UIE All You Can Learn series of seminars, I had to think hard about how to condense a full-day training workshop into something that would work for a seminar audience. For a small charge, you can listen to the whole seminar on UIE’s site.